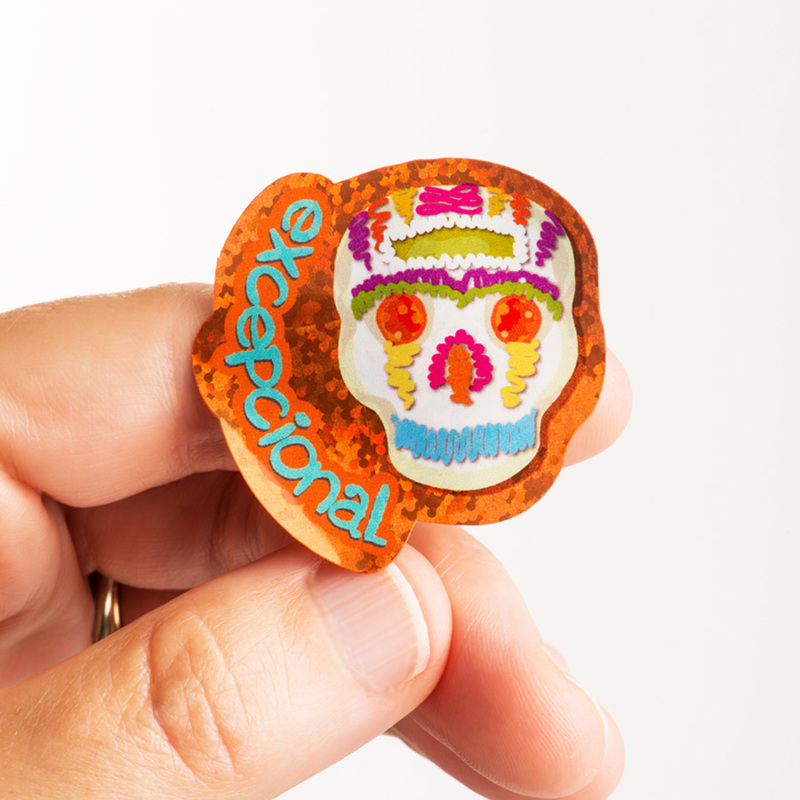 Decorate a magnetic ceramic skull with markers. 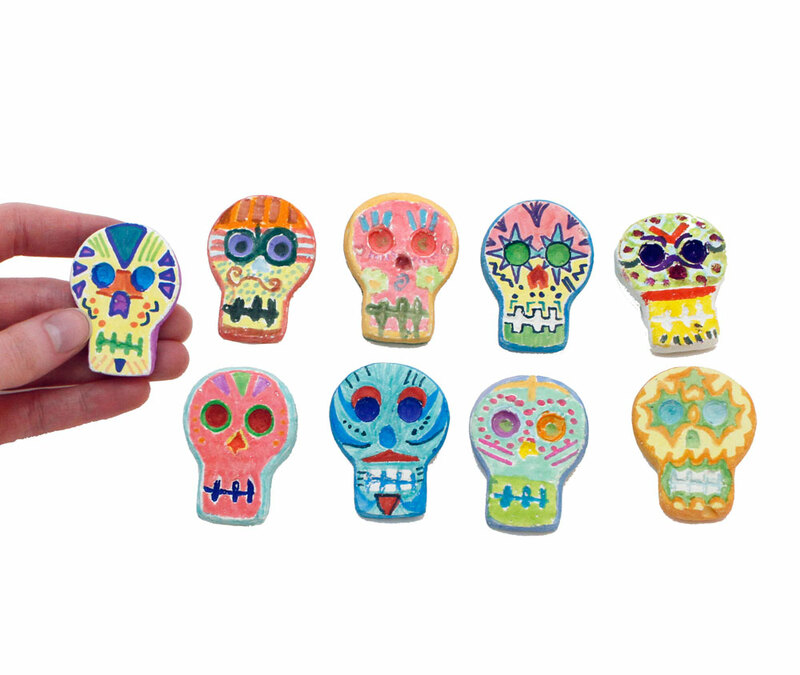 Day of the Dead Skull Magnet Kit contains 30 ceramic skulls, 60 markers to share, a bottle of glue, and 30 magnets. Spanish. All levels. 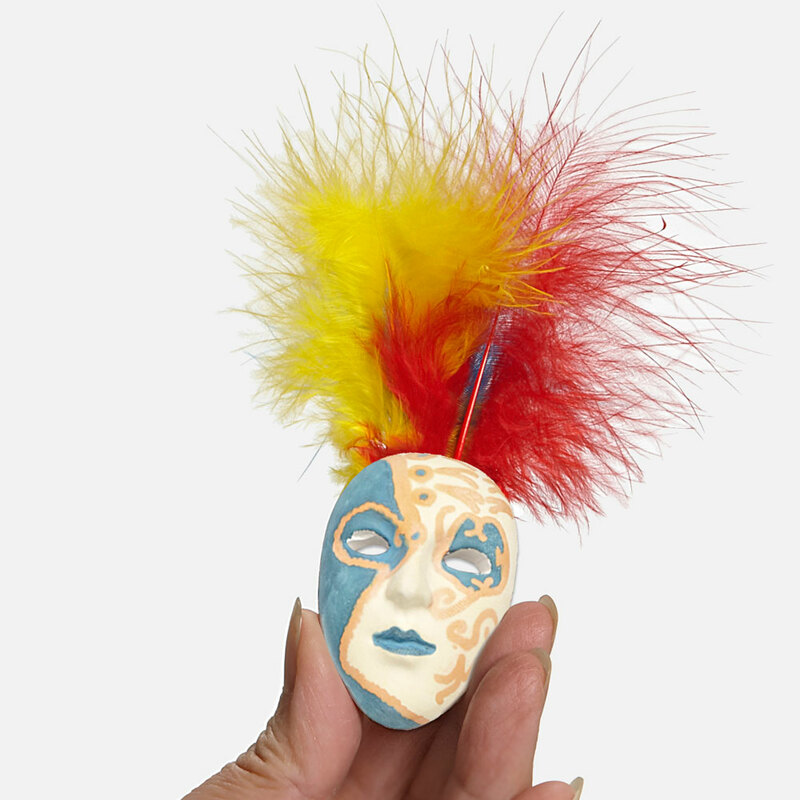 Already have markers, glue, and paint? 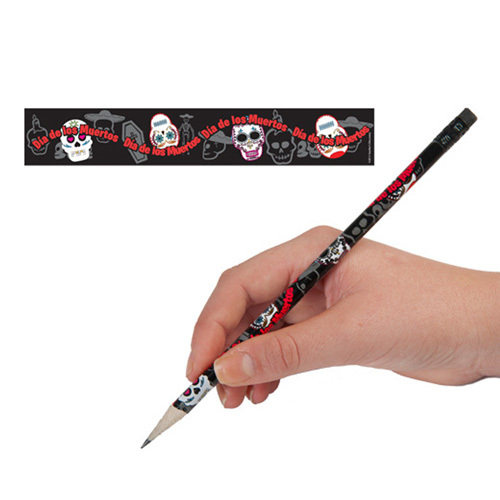 Get the Day of the Dead Skulls and Magnets ONLY Set without any of the art supplies. 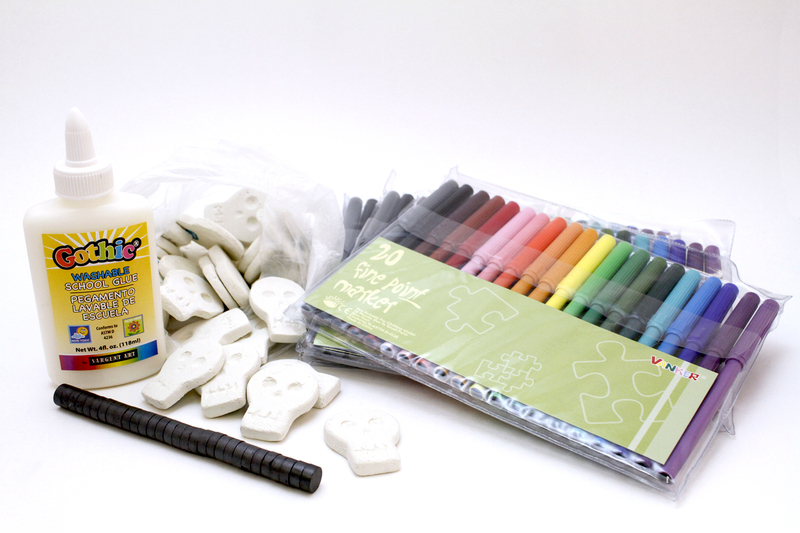 Kit contains 30 ceramic skulls and 30 magnets. 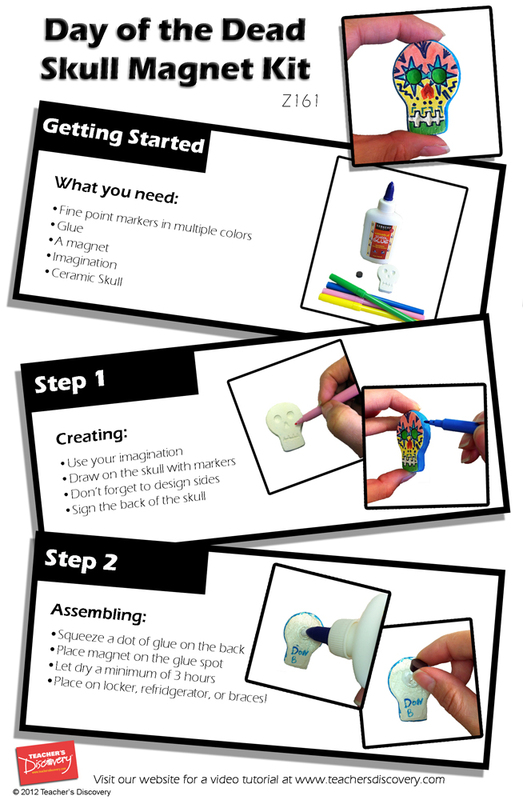 You supply the markers and glue. All levels. 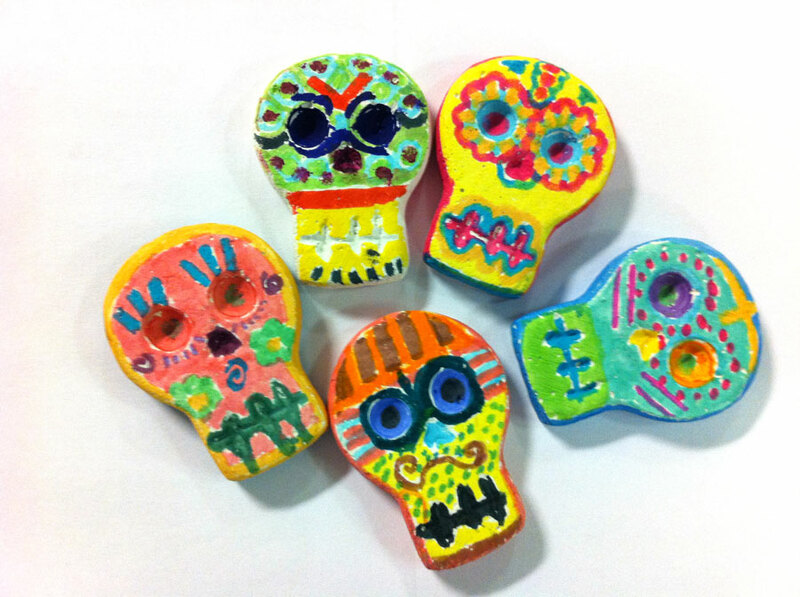 Students loved coloring the skulls- magnets a hit The lollipops were delicious; the down side one too many broken. I don't know if from manufacturer or in shipping. 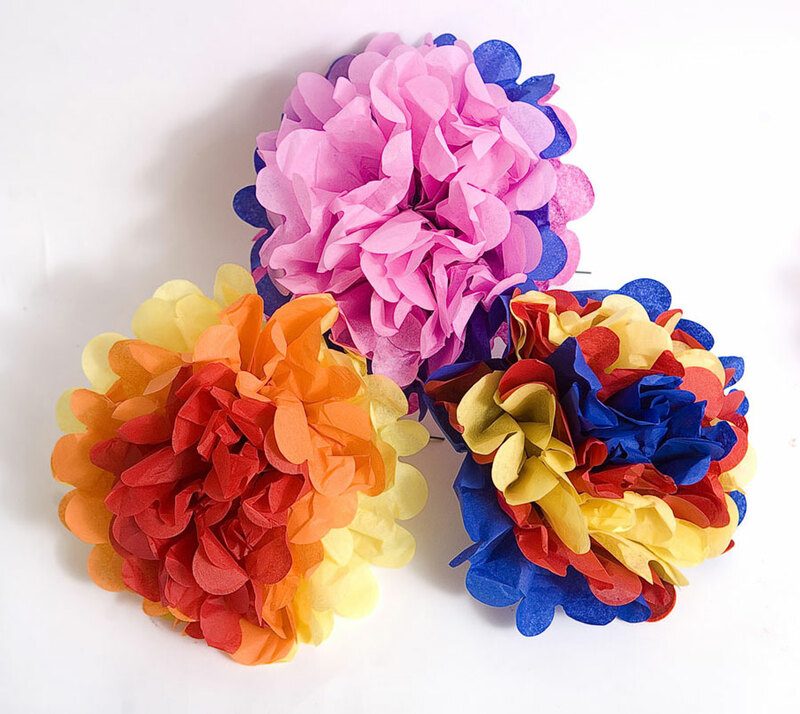 Spanish Club members liked these! 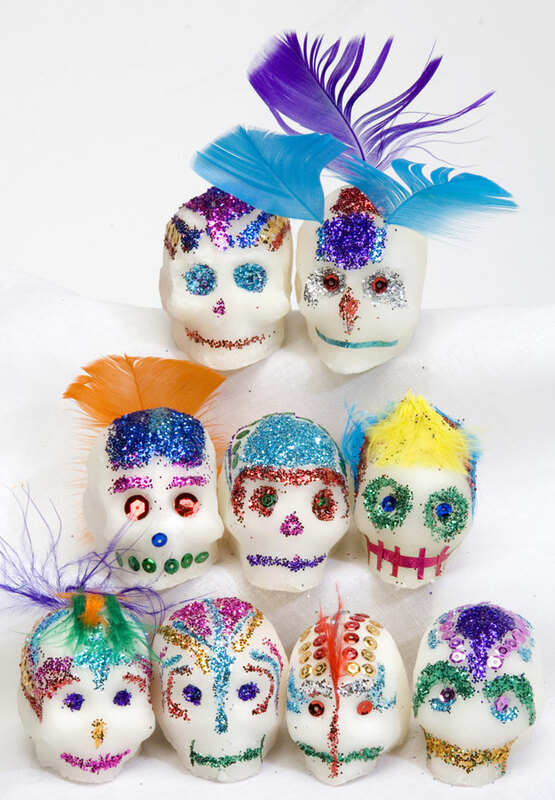 Students enjoyed coloring these ceramic skulls. Be aware that the markers provided, although are bright (and true to the color) when used on paper, when used on the skulls turn out very pastel and not bright. I had several Sharpie markers in a variety of colors and those did turn out bright and color correct. 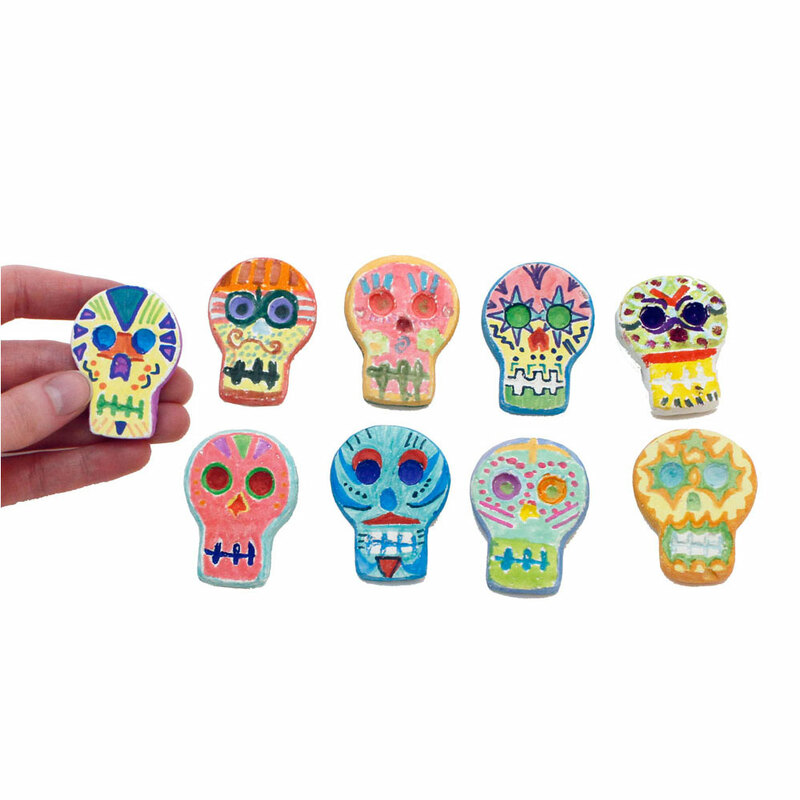 The pastel skulls were nice looking and offer a different look, but don't expect the color to be true. Another caution, fingers can smudge the ink when wet. 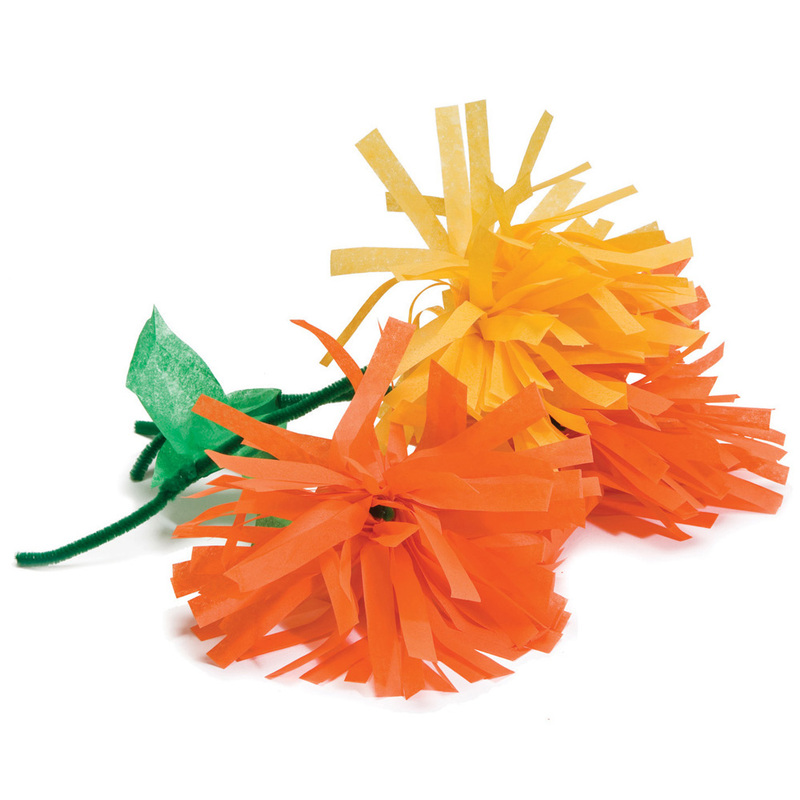 That said, I will buy these again! Thank you, TD!